Begin with a single yellow dot, press here and turn the page. 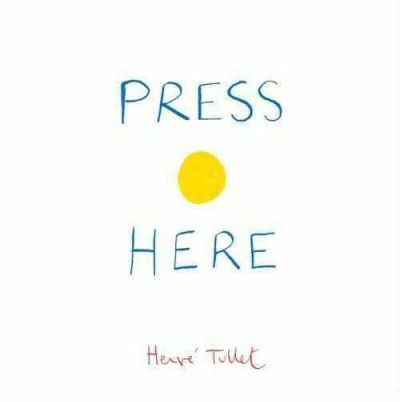 With a few simple commands and an inviting yellow dot, little readers will discover magic on every page of Hervé Tullet’s Press Here. Press a few yellow dots and discover that they multiply, rub them and they change colour! Tap them and more appear, shake the book and mix them up. And on it goes, inviting the reader to ‘change’ each page. The concept is simple but pure genius. It’s extraordinary that we are surrounded by e-books, ‘interactive’ digital books and apps that do all sorts of clever things and yet Press Here is actually more ‘interactive’ than any app or digital book I’ve come across – and it’s ‘just’ paper! 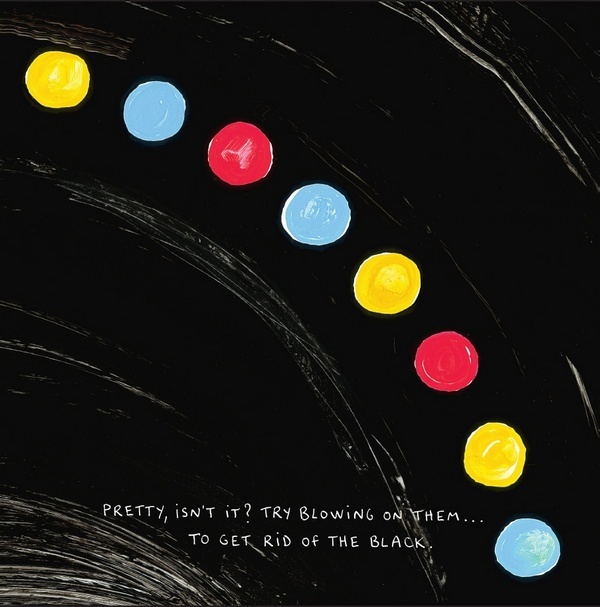 Tullet’s simple commands and even simpler illustrations will have kids rubbing, shaking, blowing and tilting the book, with results that will make them want to read this gem over and over again. I think it’s magic although the publisher maintains that it’s not magic but the power of imagination – watch the clip below and decide. Press Here is available from Book Depository for $16.17. Book Depository ship to Australia free of charge.